So, I know I’m not supposed to look the gift horse in the mouth, right? But isn’t that because you don’t want the gift horse to quit giving you gifts? What if you DO want her to? After I moved to Fredericksburg TX to open up Tally's Olde Tyme Sweets, I soon made the acquaintance of Mrs. Gerg, an older woman who lives not far from my house. I couldn’t have not met her, if I ever walked a block in town. She’s always out, going up and down the sidewalks, looking for garage and yard sales. It’s good to have a passion, I guess. But it’s her passion, not mine. She’s so sweet, I can’t refuse her when she gives me things she’s picked up for next to nothing. That’s what they’re worth, of course. 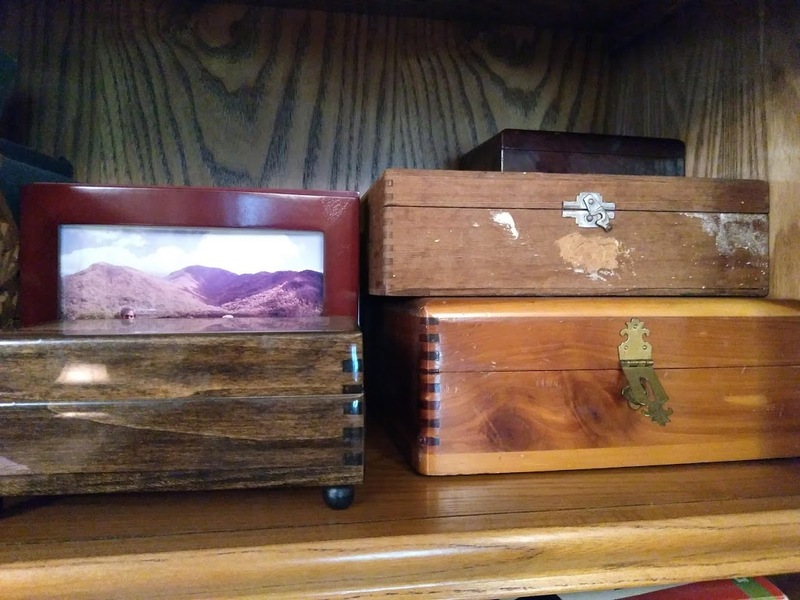 When we first met, she noticed I had a small collection of boxes. I’m sorry she saw those, because now I have a collection that hardly fits into my house. I get new boxes at least every week, sometimes oftener. If that thing about looking them in the mouth works, maybe I’ll try it. Maybe the boxes will stop coming. She’s so sweet, though. I can’t hurt her feelings. Tally, hope you have a friend that likes boxes, so you can pass some of them along. Jana, that's a very good idea! I'll have to suggest that to her. 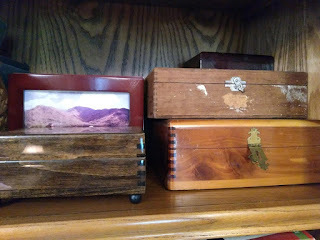 I hope you can find a use for those boxes or turn them into gifts to give away. It's hard for Tally to part with her boxes, but she DOES have way too many now, Eileen. Maybe she can! Sheryl, when we lived in Austin, we visited Fredericksburg quite a few times. It's a beautiful area! I don't know yet, but I'd very much like to do one or two author events there. I think you're near Houston? Thanks for your good wishes! Thanks, Penney. As you may have guessed, I collect boxes, just like Tally does.